are looking for herbal color powder to make our Holi safe and happy. 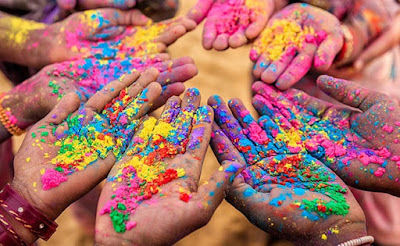 So today we provide some tips to make holi power at home with colours of holi. So lets begin. To make holi powder you need to arrange some product so that you can make your holi color of your choice. So lets begin. So to make Gulaal you need first red colours which you can get from gulaab (red roses) and carrot juice and you can make it with flour and mix it well and its great for your skin.